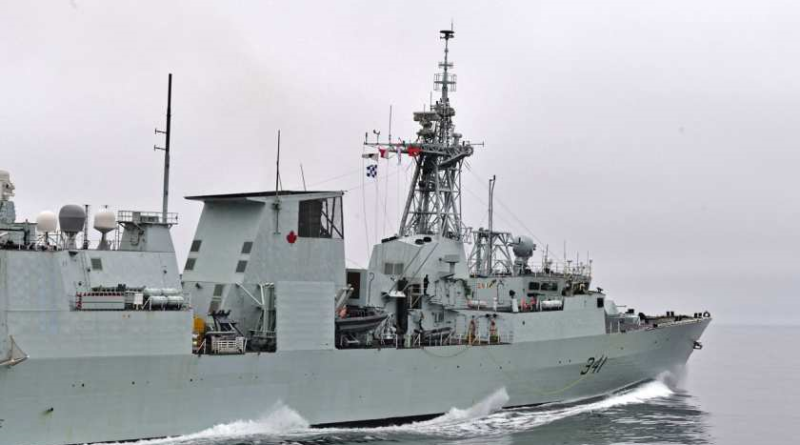 Media have reported (“HMCS Winnipeg and HMCS Ottawa leaving Monday for new deployment“) that two frigates from the Royal Canadian Navy’s Maritime Forces Pacific are sailing soon for a long (six months) deployment. That’s two of the five frigates of the west coast fleet. What with at least one frigate of the seven on the east coast deployed to European waters, and two of the Maritime Forces Atlantic Kingston-class ships currently off West Africa, the Royal Canadian Navy (RCN) has deployed a good percentage (considering it is peacetime) of its fleet. The Navy is displaying its capability to operate and to train forward, away from Canada in other regional waters. Truly, the RCN is a ‘blue water’ navy, providing a globally deployable force as an option for the Government of Canada. With this deployment, Her Majesty’s Canadian Ships Winnipeg and Ottawa are acting more like long-endurance cruisers that frigates. Modern warships can do that, but such an example does not negate the utility of an accompanying auxiliary replenishment oiler (AOR – multi-function supply ship). Nor does it lessen the requirement for the Navy to have two to four AOR in order to sustain groups of warships (‘task groups’) for extended periods of time far from Canadian bases. For a training and diplomatic deployment, which is what POSEIDON CUTLASS 17 looks to be, it is not inappropriate that an AOR is absent. Such a deployment, however, would be great employment of the ‘Project Resolve’ AOR Motor Vessel Asterix which is currently being converted by Chantier Davie from containership to a civilian-crewed ‘interim AOR’ for the RCN. Asterix looks to be as capable as a purpose-built AOR, though maybe lacking the defensive armament and design features which enhance her ability to withstand damage during operations. One can look forward to her making such training and diplomatic deployments in the future. 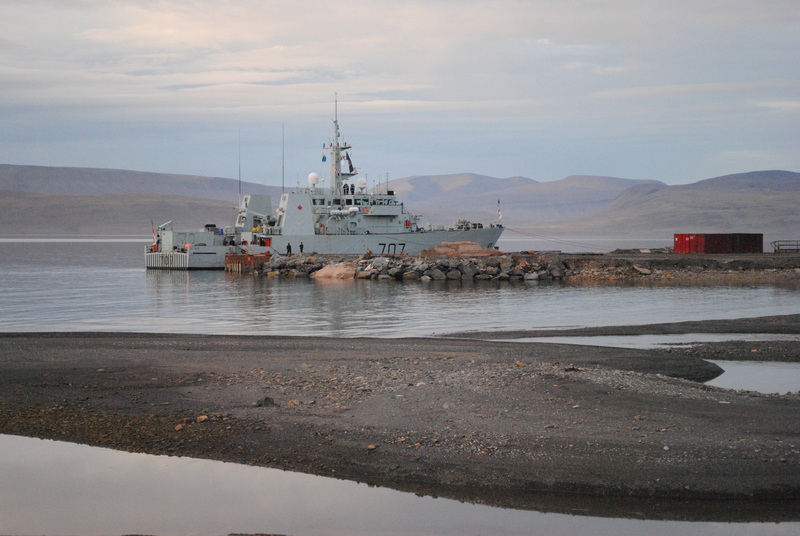 The RCN is calling the deployment of Winnipeg and Ottawa ‘POSEIDON CUTLASS 17.’ Like NEPTUNE TRIDENT 17-01, the deployment of HMC Ships Summerside and Moncton off Africa, the name is not prefaced with ‘Operation’ or ‘Exercise’ as is military practice. What the Navy is demonstrating by not adding a preface is that naval ships, when at sea on what would normally be called an operation or exercise, are actually operating and training at the same time. Though NEPTUNE TRIDENT 17-01 may be an occasion for Summerside and Moncton to train with friendly forces and to make port visits in support of Canadian global affairs, as POSEIDON CUTLASS 17 is for Winnipeg and Ottawa , the two ships are immediately ready and available to carry out operational tasks such as search and rescue or humanitarian assistance. Indeed, that is what happened to the frigate HMCS Vancouver, whose visit to a New Zealand port for celebrations in 2016 turned into a humanitarian assistance/disaster response mission when that country was hit with an earthquake. It is too simple to think of warships as solely on exercise or operation, they are always somewhat engaged in both. The Royal Canadian Navy is a capable, globally deployable force, of great utility to the Government and great pride to the people of Canada. ← What is a Battle Group in the Canadian Army?